Be the first to hear about their new releases and deals. 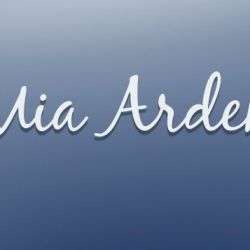 Download the Booksprout app and search for Mia Arden today! Mia spent the better part of a decade writing about and studying academic philosophy. Finally freed from her stuffy library, Mia now writes new books instead of reading moldy old ones. She has a passion for romance involving bad boys with hearts of gold. When she's not writing, Mia can be found eating copious amounts of yogurt, playing tennis in white pants, twirling around outside, or smiling to herself while cooking dinner--just kidding, she doesn't live in a tampon commercial. She does love yogurt, though. Mia lives in the mountains of Colorado with her cat and several ducks.